• It’s been a while since I’ve shared something from Kate Bowler… it seems timely to reconnect via her reflection on the season of Advent. • Speaking of… my Anxious Bench post this week found me reading Fleming Rutledge and wondering about the apocalyptic nature of this liturgical season (and what it means for historians). • Because I administer that blog, I try not to overdo it in sharing AB posts here… but David Swartz’s reflection on one of his Anabaptist ancestors encountering a Pietist prince is one of my favorite pieces I’ve read this year. • Are megachurches in danger? • Does the ongoing Christian debate over sexuality remind us of the need for “the spiritual discipline of discernment“? • Have you heard about the ecumenical Dutch church service that has been going on for over six weeks, all to keep an asylum-seeking family from being expelled from the country? 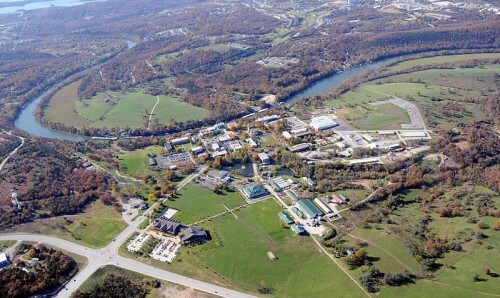 • I’ve written once or twice about College of the Ozarks, a deeply conservative Christian college that combines extensive work study with “patriotic education.” So it was fascinating to learn from one of our department’s more illustrious academic alumni that “C of O” used to be quite a different place. • Yet another reason why the Twin Cities are a great place to live.